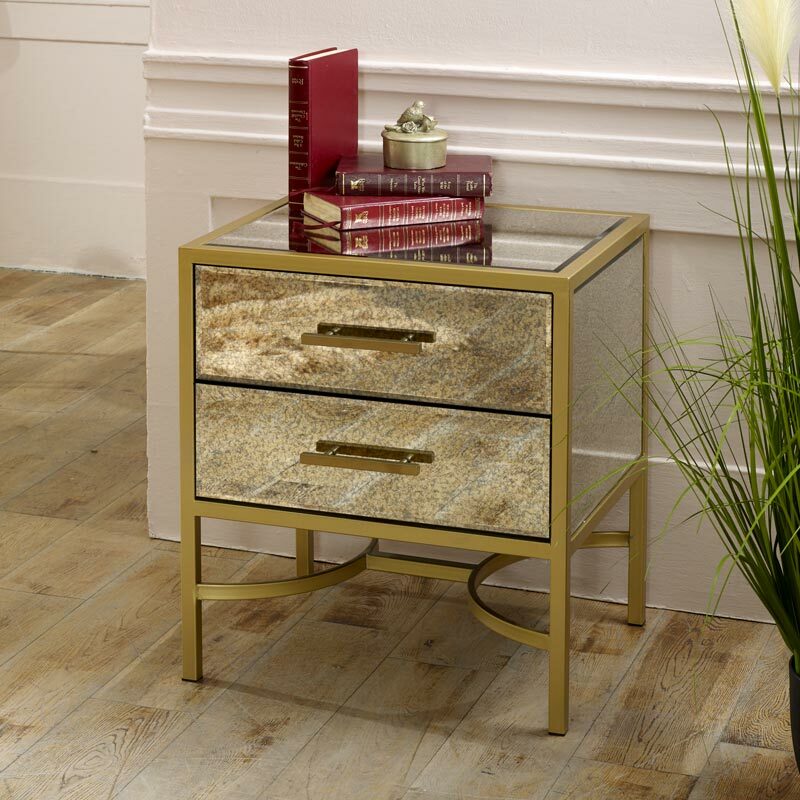 Elegant 1 drawer bedside table with gold metal frame and antiqued effect mirrored glass panels. Ideal for the bedroom, can also be used as occasional table in the living room or hallway. Matching furniture also available in the Cleaopatra Range Beautifully designed with antiqued effect on the glass. Ideal for a vintage, luxe inspired decor with hints or the exotic, art deco look. 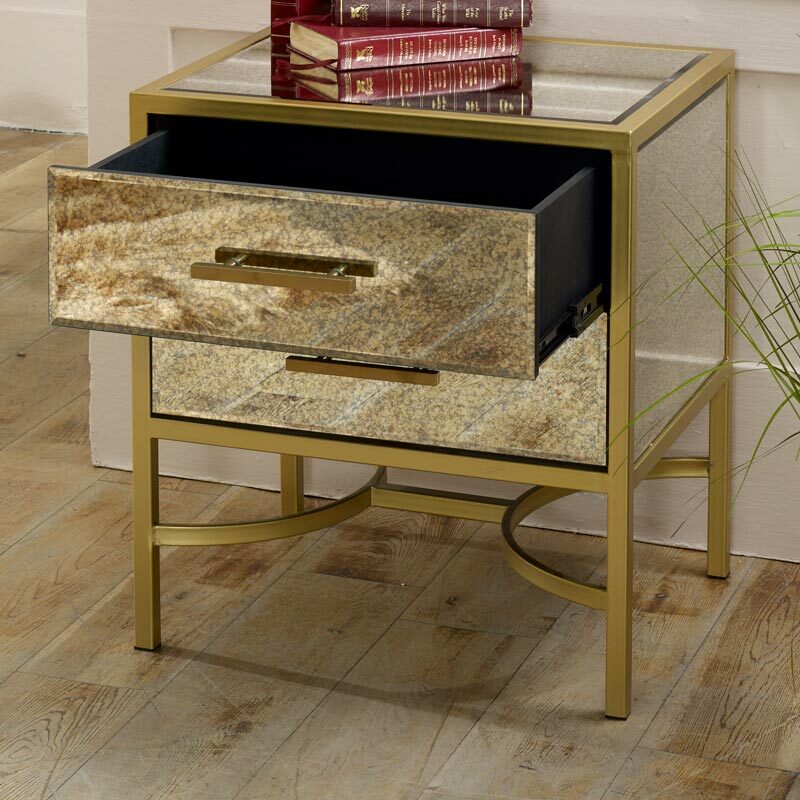 With 1 drawer storage, on metal runners, this is perfect for adding a look of glam luxury to a room, even better when in pairs. Beautifully designed with antiqued effect on the glass. Ideal for a vintage, luxe inspired decor with hints or the exotic, art deco look. 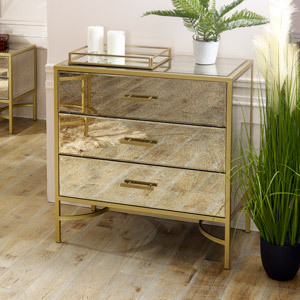 With 1 drawer storage, on metal runners, this is perfect for adding a look of glam luxury to a room, even better when in pairs. 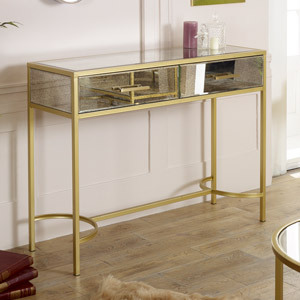 Constructed with gold painted metal frame and antiqued effect mirrored glass panels. The bedside table comes fully assembled and ready for use.